my geeky little habit and I are coming out of the closet. I am OBSESSED with writing lists, I can't sleep until I've written down everything thats bobbing about in my little brain. 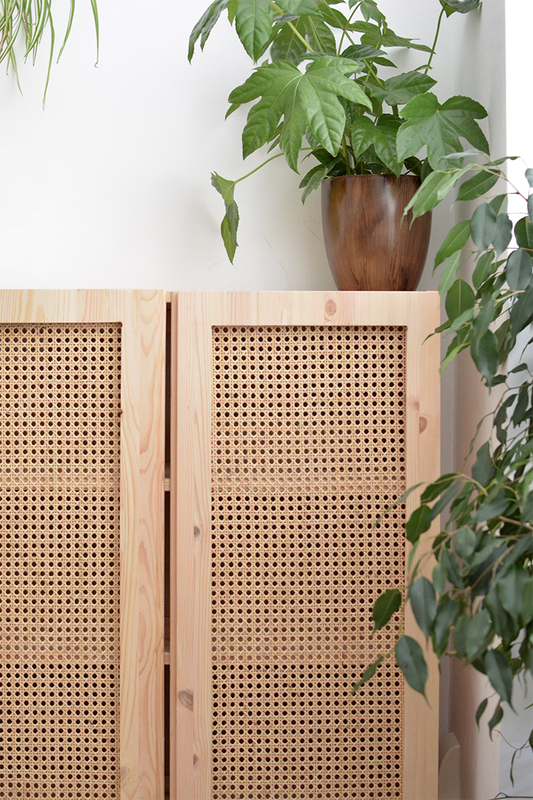 I'm also rather OCD about keeping all of my ideas and blog related scribbles organised so I've been keeping blog books since I started burkatron. if I'm stressed the only things that straighten me out are a cup of tea and half an hour writing an action plan! I decided to make writing my endless 'to do' lists a little more fun and this strange scrap booking/crafting habit developed about 6 months ago. I love buying notebooks; my favourite ones for blog books are the plain kraft books from paperchase, a mix of blank and brown craft paper they're perfect for writing lists and come in lots of different sizes. I stick in postcards, scrap paper or sketches. I store secret lists in envelopes stuck inside my books and generally collect lots of little memories and ideas which just breed inside the pages of my book! 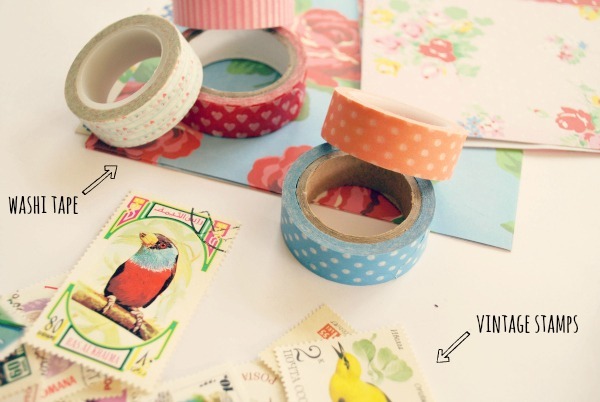 washi tape is decorative japanese masking tape and great fun to use; I get mine from etsy! 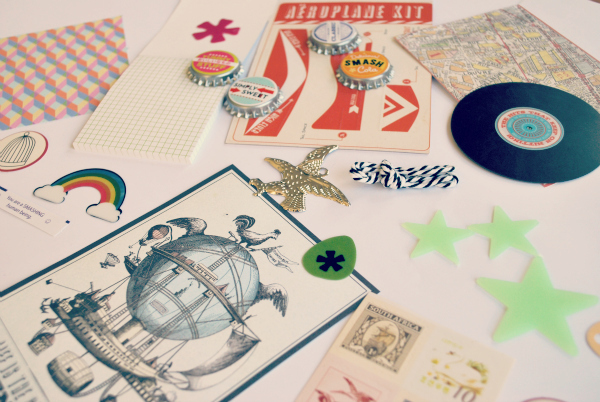 I also collect vintage stamps and little craft items in second hand shops when I see them. 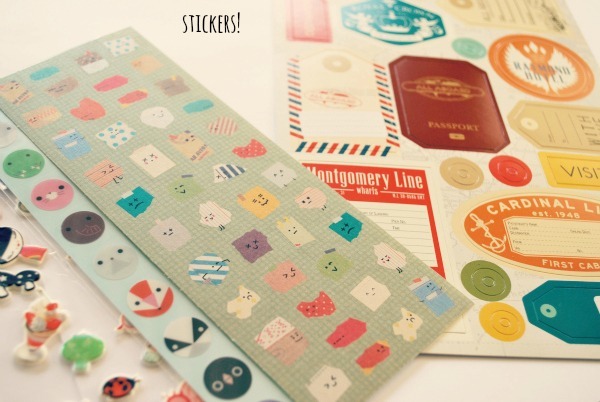 stickers are another thing I'm obsessive about snapping up! paperchase is my go-to place for these! 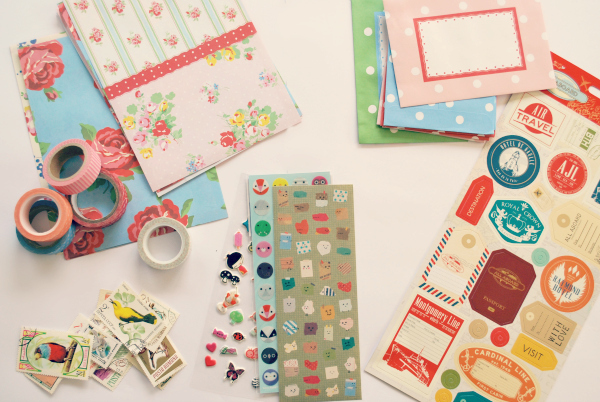 I'm a massive fan of stationary; especially writing paper and cath kidston sell some of my favourite papers, stickers and notebooks. I don't think I'll ever own too much floral paper! 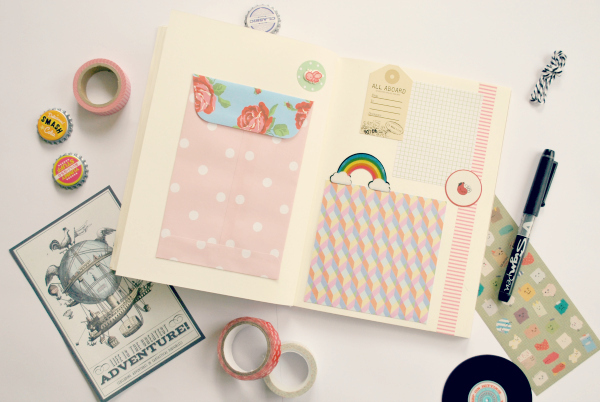 I've also recently discovered smash which sell the most amazing books & accessories for scrap booking! a little expensive for some of the items but a good place to look if you want to get a ready made set to play with! after a long day I grab my washi tape, paper & pritt stick and get gluing! once my trusty pen and I get scribbling down those ideas I'm a happy bunny. I love making my book a little more pretty and it helps me to plan my week; it's a little geeky but it's so therapeutic! any other compulsive list writers out there? come say hi!! It looks so cute, loved the post! This is fantastic! I love a good notebook, but I lack the creativity to get mine looking really pretty. You've inspired me here Caroline, and I'm looking forward to seeing what I can come up with in the future! wow! id love that! i should really start doing this and recording my ideas! 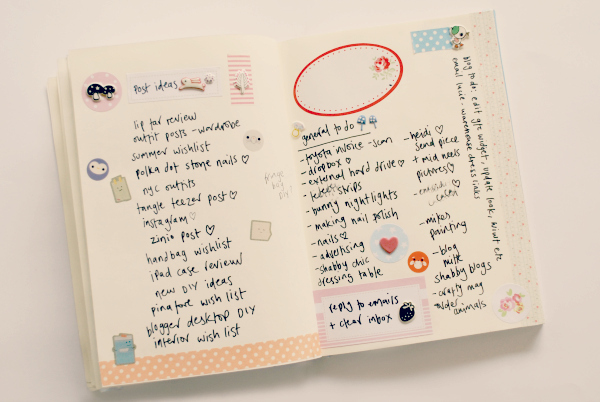 This is adorable I love lists! 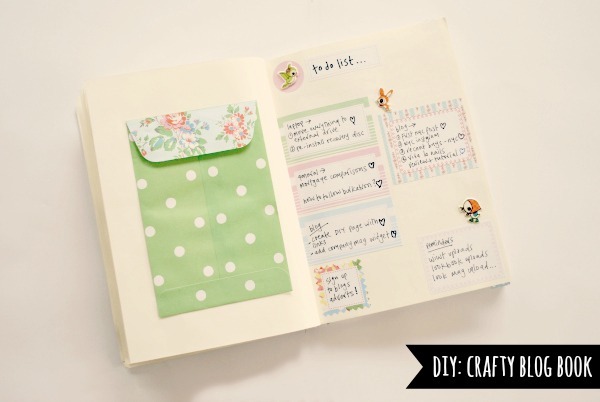 This is so cute, I thought I had got all organised with my little notebook but this puts my list making skills to shame, definitly given me a few ideas about how to make my little book a little bit more special too. Oh my goodness, your notebook is adorable! Oh my gosh this is literally my DREAM post. 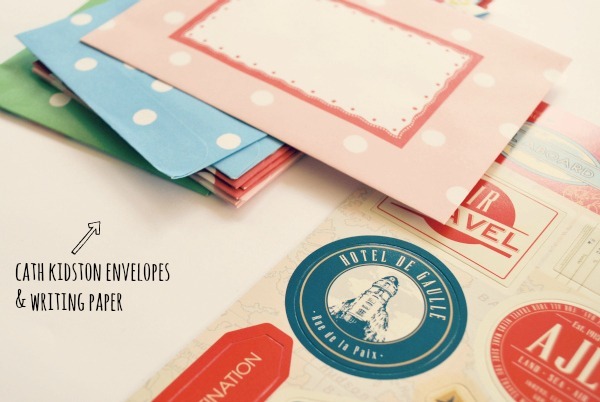 I'm borderline obsessive about stationery! Think I may just have to start doing this to keep my thoughts organized, since as of right now my ideas are stored on blah sticky notes on my laptop. :/ Thanks for the idea! I love this blog book! I'm also obsessed with lists, I have notebooks everywhere so I can jot down ideas, if it's not wrote down i completely forget about things. Think I need to start dressing my notebooks up too, thanks for the ideas! 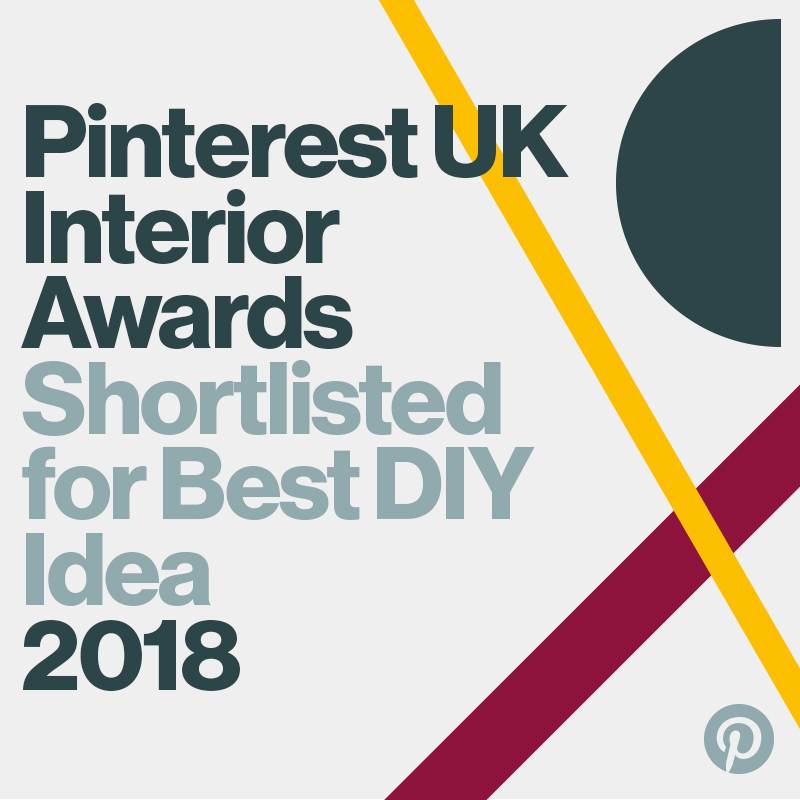 I think that is a brilliant idea! I too am obsessed with list making! I get as far as highlighters and ticking off things I've done though.. I've never thought about decorating the pages. This is amazing!! I'm always having to write lists. I love these! I have loads of lovely little unused notebooks and you have inspired me to do something with them.... excuse me while I go and order some washi tape!